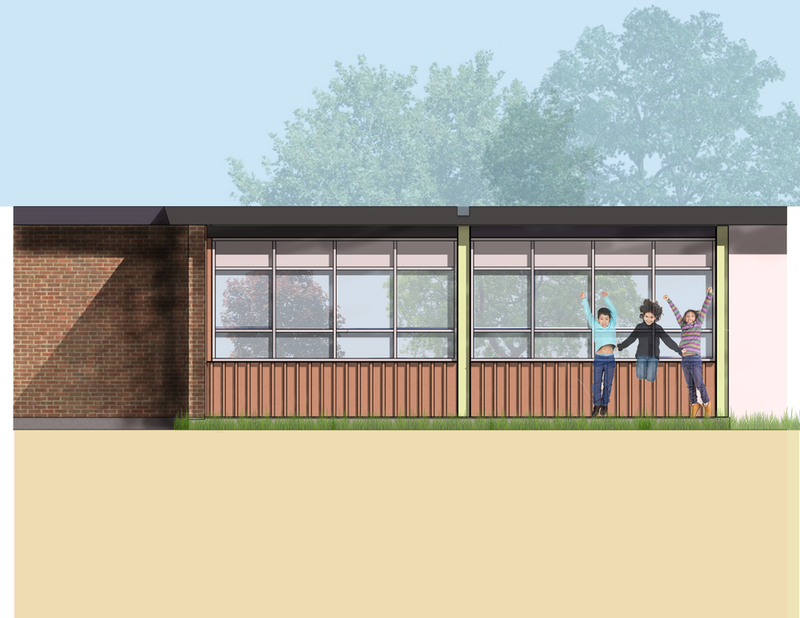 The Sage School engaged Big Bend Studio in the fall of 2017 to develop a campus master plan and an initial concept for an addition to their building to house a collection of spaces to support the school’s STEAM initiative. The master plan is comprised of a number of key pieces, many of which are aimed at addressing deferred maintenance issues, code compliance, and energy efficiency, as well as introducing a number of spatial ideas to support pedagogical initiatives and approaches. The latter are most visibly embodied in the concept of the ‘collaborative core’, a spine of flexible space that includes the library/learning commons, multipurpose space, a series of student study and social spaces, and culminating in the GIFTED Lab. While the internal moves are critical, equally salient are a set of landscape ideas that encourage direct movement from classrooms to the outdoors via a porch and series of decks that can be used as outdoor classrooms and project areas. An existing woodland is preserved as a place to play and explore. In addition to qualitative aspects, of course, the master plan also looks at the quantitative. Using comparisons with peer institutions and standards set in a number of states, the master plan projects what the space need might be in five to ten years, based on current growth targets. 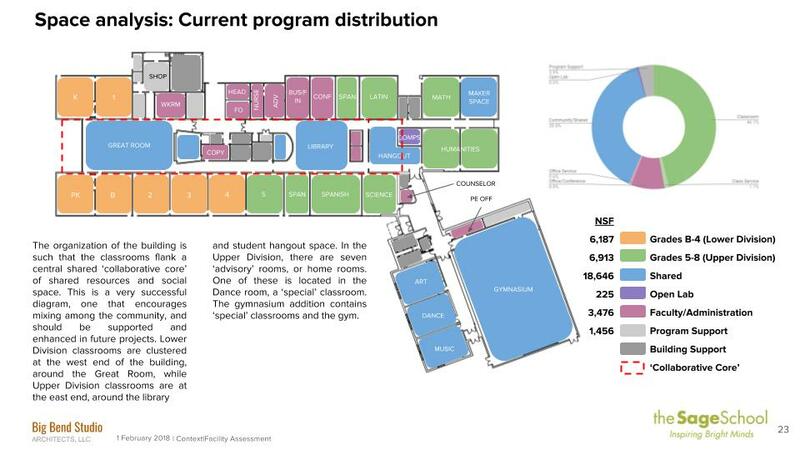 Ultimately the plan identifies locations for future growth on the campus as well as a number of strategic programmatic moves within the existing building that serve to align more closely enrollment and classroom size, while trying to optimize classroom utilization within a framework that supports an approach to teaching that values highly individual exploration and discovery. The list of projects that emerged was estimated at a conceptual level in order to help the school begin to prioritize and explore the feasibility of a capital campaign.